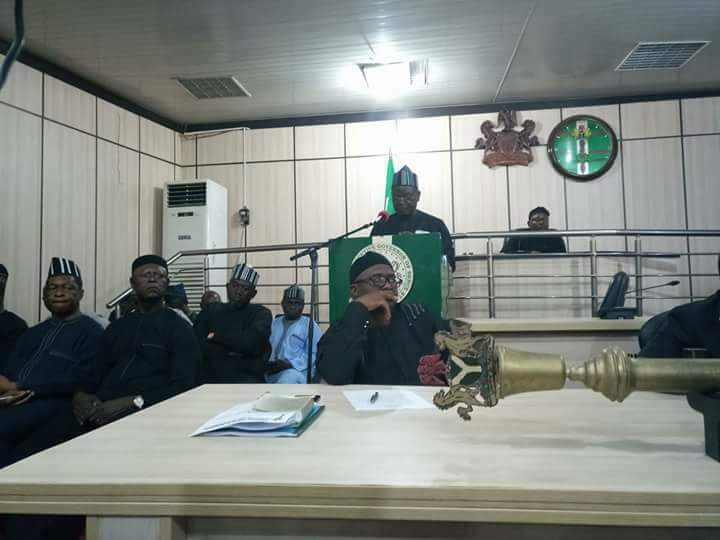 Governor Samuel Ortom of Benue State on Thusrday appeared before the State House of Assembly to brief the law makers on the on-going attacks on rural communities. 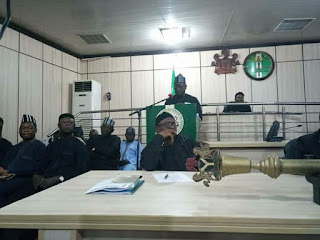 The governor, whose appearance was in obedience to a summon issued on Tuesday, told the law makers that 18 local government areas were hit by the incessant attacks that had claimed several lives and displaced “close to a million”. He lamented that the violence had displaced many Benue residents, and vowed to work toward ridding the state of the bandits. On the cause of the attacks, Mr Ortom said that many reasons were being deduced with many people blaming the violence on people suspected to be pursuing a religious agenda. “Others say that it is an extension of the Boko Haram insurgency while some say that the attacks are being masterminded by herdsmen seeking land,” he said. Mr Ortom, however, said those involved in the attacks would soon be arrested and appropriately punished. He said that government had provided support for security agencies to enable them apprehend the perpetrators so as end the carnage. The governor disclosed that the federal government had deployed 1,000 military personnel and other security agents to Benue to end the crises after he briefed President Muhammadu Buhari on the violence. Mr Ortom, however, insisted that there was no going back on the anti-open grazing law. “We can only drop the law if someone comes up with an alternative that is a better solution to the problems we are facing,” he said. He expressed readiness to listen to any suggestion toward solving the farmers/herdsmen clashes, and advised cattle breeders to adopt modern practices of animal husbandry. Earlier, the Speaker of the House, Terkimbi Ikyange, had told the governor that the efforts made to end the crisis were not yielding the desired fruits. Mr Ikyange urged the governor to adopt more proactive ways toward ending the crisis, saying that the law makers would continue to summon him for periodic briefings on the security situation in the state.